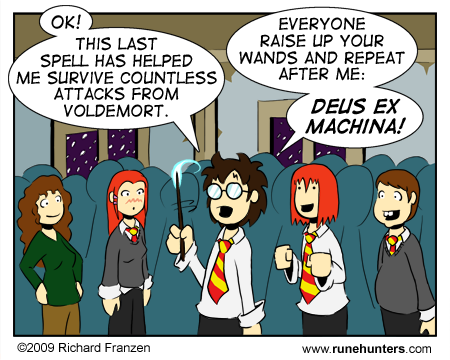 Just celebrating the release of the sixth Harry Potter movie by doing up a comic about it. Just poking fun at a little plot device J.K. Rowling likes to use a little too often in the story. I shouldn’t be complaining too much about a world where every plot hole can be resolved by saying “a wizard did it”.